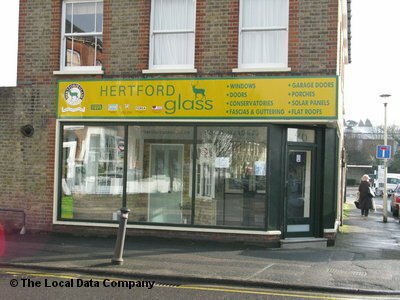 Hertford Glass was founded in 1971, to offer a glazing service for the local area. The original founders cut precision glass for installation into single glazed windows, and this art is still practiced by our skilled craftsmen today. Today, we are an established installer of double glazing products and we now boast a full range of products in order to satisfy all your glazing and security needs. All our products are to British Kite Mark Standard, and we are proud members of the Glass and Glazing Federation. We are a member of FENSA, who regulate the glazing industry, this ensures that all our installations comply with Government Regulations applicable to the building industry. We are always striving to be the best double-glazing installers you could choose, at a very competitive price, and we hope you would see fit to choose us. You really won’t find anyone better for double glazing, windows and doors in Hertfordshire. Hertford glass replaced the windows that were installed by the supposedly UK's best "Everjest" new sash type windows installed front and back of our property, superb quality and service from this excellent local business . I highly recommend the company ! An hour late turning up, but a nice door, well fitted. Hertford Glass installed our double-glazed windows and doors more than 30 years ago. The lock on the back door became defective and the door had to be replaced because fittings have changed during this time. 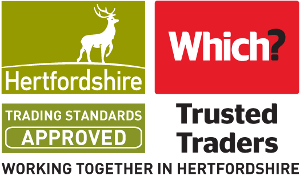 We automatically go to Hertford Glass because we trust them to do a good job. They did the work without fuss, took away the old door and left everything tidy. We can't comment on value for money because we didn't approach any others trader. We recommend them without hesitation. Fit one complete front window. Date of installation didn't change. As we've used them before we paid after installation. Window and UPVC reveals fitted neat and tidy. Refitting of brick pieces above the sill was extremely neat. Excellent workmanship and service. Very impressed with everything. Two windows were replaced. He arrived early but asked for permission first. Work was done very well, we hardly knew he was there. We would use Hertford Glass again if we had to & would recommend them. The installers were polite, courteous and efficient. What more can you ask. Very pleased with our new front door. The fitter was conscientious and consulted us throughout. Quality product and well fitted. We used Hertford Glass to recover a flat roof, change rainwater wear and replace some defective double glazing. The work was carried out promptly, to a high standard of workmanship. Installers arrived promptly at appointed time. (One installer on first day, two installer's on last two days). Installation was straight forward and minimum of inconvenience. Two minor problems with specified windows but rectified by the third day. Installers were very courteous and professional.